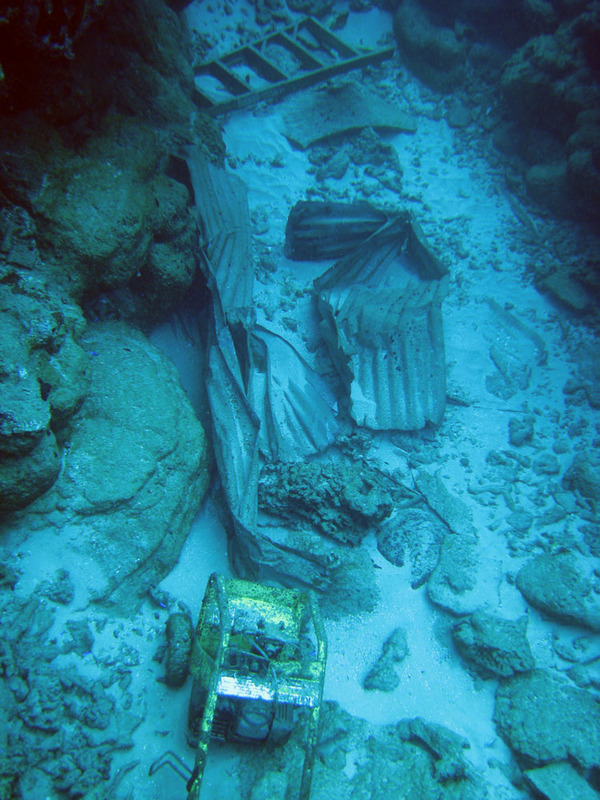 A NOAA team has begun a survey of marine debris generated by the devastating September 29 tsunami in American Samoa. The team is carefully measuring the amount and impact of debris such as roofing and domestic goods in coral reef habitat near villages severely affected by the tsunami. Since arriving in the area on November 29, NOAA personnel have been working with territorial agency representatives, village mayors, local news outlets, and other federal agencies on all aspects of the operation, including determining survey areas, outreach to communities and equipment logistics. Tsunamis are a natural occurrence, and corals can recover from damage by waves, sediment and plant debris resulting from a tsunami. 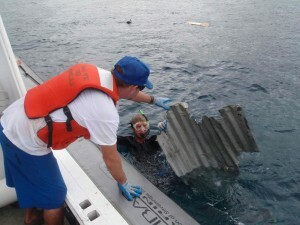 However, marine debris, whether from a tsunami or overflowing trash can, is a different story. “The very products that make our lives more comfortable — things like corrugated metal roofs, plastic garbage bins, and bulky mattresses — can wreak havoc when they’re deposited on coral reefs. And they can continue to move around in big waves, increasing the footprint of their damage,” said Kris McElwee, NOAA’s marine debris on-site coordinator. 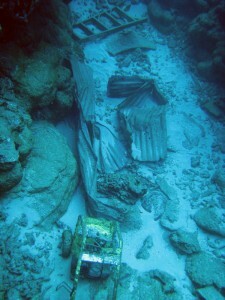 Several areas have been surveyed by NOAA divers including waters off two of the hardest hit villages, Amanave and Leone, as well as the Fagatele Bay National Marine Sanctuary. While some marine debris has been removed, including over 1,200 pounds of debris from Leone Bay, NOAA’s priority is measuring and documenting the impacts of the debris. “We’re glad that we can assist in these important efforts, and step by step, help American Samoa towards recovery,” said Kyle Koyanagi, NOAA marine debris field operations lead.